Winter is generally that time of the year when we all want to stay at home curled up in our beds. In summer, sunlight brightens our day and makes us active but the cold, snowy winter make can make us lazier. Moreover, days are shorter during the winter season, making it all the more difficult for us to step out for physical activity. However, just because there is snow on the ground, it does not mean that we have to stop exercising. There are several avenues for staying active during the winter and we as parents should encourage our teens to follow an exercise routine during the winter season to stay fit. For e.g., we could motivate them to participate in holiday themed races or join winter sports teams. In this article, we will discuss the benefits of exercising for teenagers and also about ways to keep your teens active during the winter season. Exercising or taking part in physical activities like games and sports regularly is one of the best things teenagers can do for improving their health. Exercising helps you feel more energetic and alert. Physical activities lead to increased release of endorphins in our bodies. This hormone is responsible for making you feel good and refreshed after working out. As a result, physical activities make you feel happier and relaxed. Regular physical activities help in burning calories, preventing teenage obesity and maintaining a healthy weight. 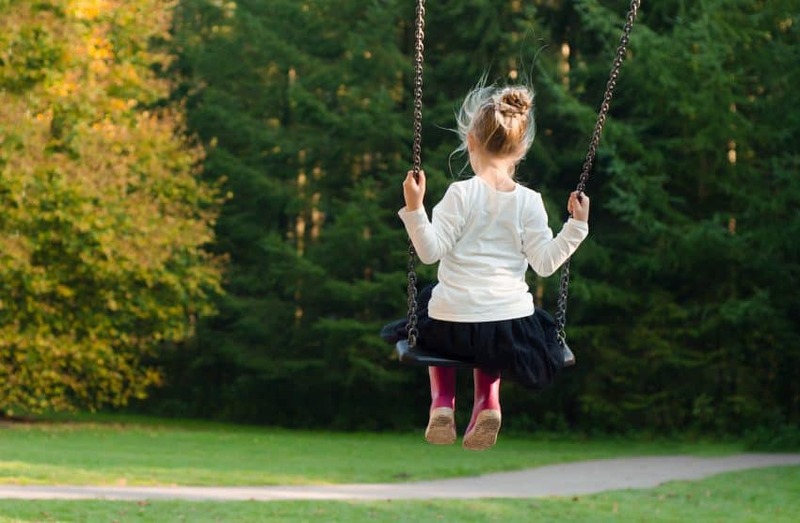 According to the World Health Organization, children and youth aged 5–17 should accumulate at least 60 minutes of moderate to vigorous physical activity on a daily basis. For children and teenagers, physical activity would include games, sports, recreation, planned exercise, school and community activities. Physical activity creates an increased need for oxygen in our bodies. When we exercise we start breathing heavily due to the increased need for oxygen. Depending on how fit we are, we may notice this need occur earlier or later compared to others. Exercising regularly leads to an increased consumption of oxygen and the capacity of our lungs increases. Over time, regular exercise builds aerobic capacity, delivering more oxygen to our brain and bloodstream, and helps us stay active easily. Physical activities and exercising can also make you look good. When we exercise, we burn more calories and as a result, we look more toned than those who don’t. This can be a huge motivational factor for teenagers. Moreover, exercising also makes us sweat and release body toxins making exercise extremely important during winters. Moderate exercise also increases your body’s production of natural antioxidants and helps to protect your skin. Teenagers are advised to sleep eight to ten hours but with excessive use of technology, there appears to be a high sleep deficit among teens. In fact, a study showed that only 15% of teens reported sleeping 8 1/2 hours on school nights. One of the best ways to overcome sleep deficit is to exercise regularly. When you are active during the day, you typically fall asleep more easily and stay asleep longer. Making physical activities a part of your daily routine can help your teens get a more sound and restful sleep. It not only improves the quality of sleep by increasing the time spent in deep sleep, but also boosts the overall duration of your teen’s sleep. Regular exercising can help in reducing the stress and anxiety levels of your teens. Just 5 minutes of moderate physical activities can trigger anti-stress responses in our bodies. Regular aerobic exercise is known to decrease overall levels of tension, stabilize mood and improve self-esteem. Teens are often stressed due to academic life, peer pressure, and several other reasons. Here are a few fitness tips from Anxiety and Depression Association of America to help your teens manage stress and stay healthy. Beyond the well-known benefits of obesity prevention and improving bone as well as muscular strength, regular exercising also helps in reducing the risks of a wide range of chronic diseases like diabetics, cardiovascular diseases, bone and joint diseases like osteoporosis and osteoarthritis, breast cancer and colon cancer among several other. It also helps in lowering blood pressure, increasing HDL or good cholesterol. Both your bones and muscles become stronger when your muscles push and pull against your bones during physical activity. Strength training helps develop muscles while also forcing our muscles to put pressure on our bones, thereby improving our bone strength. You could read more about activities that can strengthen the bones and muscles of teens here. According to the US Department of Health and Human Services, children and teens should participate in bone-strengthening activities at least 3 days a week. Bone strengthening exercises are especially important for teens because they obtain their lifetime peak bone mass in their teenage years. Having understood the various benefits of physical activities for teenagers, we will now look at various avenues to motivate and keep your teens active during the winter season. Going out to workout during the winters may be a herculean task considering the various layers of clothing you are required to wear. To make things simpler, you could set up a home gym with some basic inexpensive equipment like resistance bands, dumbbells, and stability balls. You could exercise as a family to motivate your teen to stay fit. Getting drenched during the winters may not sound to be a great idea. But swimming, water aerobics and running laps in water are great forms of physical activities that may seem exciting for your teen rather than boring mundane exercises. It’s winter season which is a great time to explore a new set of outdoor activities like skiing, ice skating, snowboarding, ice hockey etc. Encourage your teens to join winter sports teams in your locality and participate in weekly games. You could get your teens to sign up for basketball, squash, badminton, aerobics or even yoga. Given the numerous options to choose from, you can be sure to find something that would interest your teen. We all find exercise boring. But with a great company, we can overcome this boredom. This is why having exercise buddies is a good idea for your teens. They could go out for jogging together or they could visit a mall and walk when it’s too cold outside. Nevertheless, exercise buddies are a great motivational factor. As a parent, set small goals for your teens like jogging, biking or dancing for 30 minutes daily. It is better to set small goals than plan for heavy workouts for a long duration during the weekend. Frequency and consistency benefit our body more than strenuous workouts intermittently. Give them rewards like a movie night, dining out with friends etc., when they reach their goals. While most of us are already aware of the importance of physical activities, we may still shy away from exercising, given the cold weather. It would be your duty as parents to foster the importance of regular physical activities to teens irrespective of the seasons. For teens, winter sports and games may seem more exciting than exercising; therefore, we should motivate them to partake in neighborhood winter sports teams. The brain is rapidly developing in the teenage years. ​We all want our kids to enjoy learning and to make the most of their education. We place value in ensuring they work hard, study for their tests do their homework to the best of their abilities and appreciate the educational opportunities they’ve been giving. A good education truly is a gift. This sense of curiosity might be even more important than parents realize. Research has shown that curiosity impacts performance as much as hard work. When you’re curious about a subject and study up on it, you tend to retain that information for longer periods. It’s also associated with positive behaviours such as tolerance for uncertainty, humour and out-of-the-box thinking. ​These are all skills associated with happiness, resilience, creativity and intellectual growth. Encourage your children to ask questions. If your child asks a question, don’t brush them off with a simple answer such as “I don’t know.” Don’t simply say “good question.” Go the extra step further and help them find the answer to the question they have asked. Maybe it’s a matter of going to the library and finding a book that explains the topic. Maybe you can go online together and read the literature. Take them to a museum or help them interview someone who has the answer. ​There are so many methods of learning and ways to find answers. ​What is your child’s preferred method? Maybe they are more hands-on. Maybe they enjoy learning by opening a book. Let them know how much you value their curiosity and reward them by helping them discover the answer. They will enjoy the journey and not hesitate to approach you the next time they are curious. Talk to your child’s teacher. When you communicate with your son or daughter’s teacher either casually or during more formal parent-teacher interviews, ask if they have noticed whether there is anything in particular your child is curious about. What is their favourite subject? 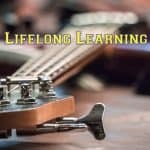 What style of learner are they? Do they seem particularly curious about anything? If not, perhaps they have suggestions for how you can stimulate a sense of wonder. Your teacher will know things about your child that you might not have noticed and their experience in the education field will give them valuable insight into your particular child. ​Let your child’s teacher know how committed you are to being involved and in fostering an appreciation for lifelong learning in your child. You are a team dedicated to furthering your child’s education and you share the same goals. Don’t hesitate to speak openly to your child’s teachers about this topic. Encourage your teen to do their homework well. If you step in and help your child right away, they might not have the opportunity to assess whether they understand the work. By helping, you deny giving them a chance to see how resourceful they are. You will also give them the chance to realize what questions their homework will spark. They might even discover they don’t understand the homework at all. You’ll want to make yourself available, of course, to answer questions or suggest ways in which they might find the answers. If they don’t understand what they are supposed to do as they work on their homework, try asking them if they have any ideas for how to solve the problem. If your child is unsure of the assignment, suggest calling a friend or reviewing their notes from class. Follow up the next day and make sure they understand or asked for help from the teacher. Ensure learning happens outside the classroom, too. As much as we prioritize in-class learning, there is so much to be discovered outside of the class as well. The best way to foster additional opportunities is to encourage your child to participate in extra-curricular activities. Perhaps they like sports, music or want to learn a language. Sign them up for a class at the local community centre or in the neighbourhood. If they discover they aren’t interested in that particular activity, try another. Don’t give up. Extra-curricular activities are a great way to make friends, expand their skills, get exercise and figure out what they are interested in and what they aren’t. Stimulating that sense of curiosity is very important and there are so many ways in which you can help build this sense of wonder in your child. Once you light that spark, there will be no stopping your child in their quest for lifelong learning. Decades ago, when we thought of new trends in education, we would have perhaps moved between an inductive method to deductive, from instructional teaching to interactive learning. Today, teaching has taken an e-turn where students want personalized learning methods and to reduce the dependency on teachers for instructions. Educators primarily play the role of mentors. The dependence on digital technology by the youth of today can seem overwhelming to us. But we have to accept that these technologies are pushing the boundaries of learning and the way education is being delivered around the world. For example, a recent survey by Research and Markets, “Artificial Intelligence Market in the US Education Sector 2017-2021”, predicts the use of AI in K12 and higher ed could grow 47.5 percent by 2021. Moreover, content is also available in varied formats, catering to diverse learning skills and dispositions. We cannot expect students to be passive recipients of lessons in a classroom. It is healthy to encourage them to be an active participant in framing the curriculum, choosing the learning resources and the method of learning that aids their understanding. 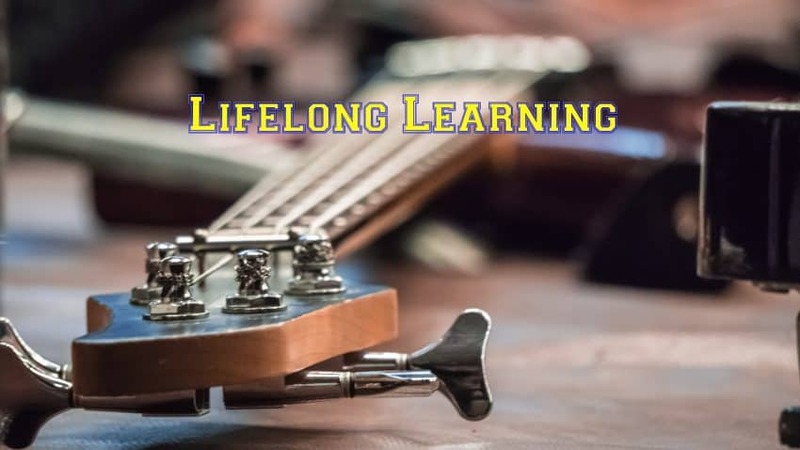 Each method of learning has a corollary cognitive impact. For example, a Wikipedia entry might generate more interest in a topic more than a traditional textbook or encyclopedia. Some children retain information through listening, others find visual-aid like videos, paintings or diagrams more useful. As parents, we need to help our kids understand what works best for them but most importantly, helps them learn. While a lesson using Augmented or Virtual Reality might seem a wholesome experience and most importantly convenient, it might restrict imagination; a vital component in critical thought. We need to play the parent in such cases. While being well-grounded in STEM (Science, Technology, Engineering, Mathematics) and technical fields is critical for young people who will compete for the jobs of the future, a well-rounded knowledge of the arts helps them contextualize their education. So make sure your child learns is exposed to the arts and humanities and not just much mathematics. When choosing a school we need to keep in mind a few things. How keen is a school in ensuring accessible infrastructure for children and their individual needs? Are the teachers trained to meaningfully engage children in blended learning? How much impact the school has had on the community. In short, is the school producing great citizens of tomorrow? Gone are the days when soft skills were considered a part of upbringing at home or emotional well-being a personal affair. We are faced with a new political environment where schools have a worldview and they need to lead the way in sensitizing children to accommodate their sensibilities to a cosmopolitan space. There are bound to be stress, anxiety, and schools should be equipped to handle those. Hence a successful school would also invest in students’ social-emotional learning (SEL). We need to assess a school based on how inclusive it is. Not just in terms of physical infrastructure but also in teaching tools. AR and VR will not be the same for children who have problems with vision. Incorporating basic tech methods to interact with students over email, text, Google Docs, will facilitate shared learning and flexibility to work from anywhere they are. This cloud comes with a silver lining! We need to make sure the teachers are prepared to give a chance to the children, to understand that some children might be good at grasping texts, others might be good at digital-visual content. We should engage with the teacher regarding the cognitive skills of children. It would be a good idea to train children with the specificities of the industry early in their career while staying prepared for contingencies. For example, it might be great to learn the law as a subject, but a child might not have the temperament or interest to invest themselves in the demands of corporate set up. One might be interested in being a great publisher some day. But they need to be aware of the drudgery of proofreading a manuscript over and over again. In short parents/mentors need to be able to give a clear picture of the actual work that goes into making a career. In meantime, as children are exposed to different circumstances, goalposts shifts, new interests surface. As parents how prepared are we for that kind of challenge? It would be wise to leave scope for rearrangement of career plans. While a bit of research on programmes and tour of the university would be a good idea, in many schools and districts, the power IoT (Internet of Things) is already being harnessed for keeping track of people, and their activities. Keeping track of performance and harnessing data to assess aptitude towards career could be of great help. How do we assess learning? We have to move beyond traditional parameters and employ newer metrics to assess learning. Its common sense that different people have different skills. Hence our standards of assessment should not be unfair in its basic tenets. For example, Cheryl Morris, an English teacher at San Jose Middle School in the Novato Unified School District in suburban San Francisco, makes short videos of herself to discuss assigned texts. While a few students choose to watch Morris on video – either at home or in class – others prefer to read the texts themselves. Interestingly, by offering the flexibility to choose their preferred method of learning, Morris has been able to bring her students’ failure rate from 10-15% down to zero! 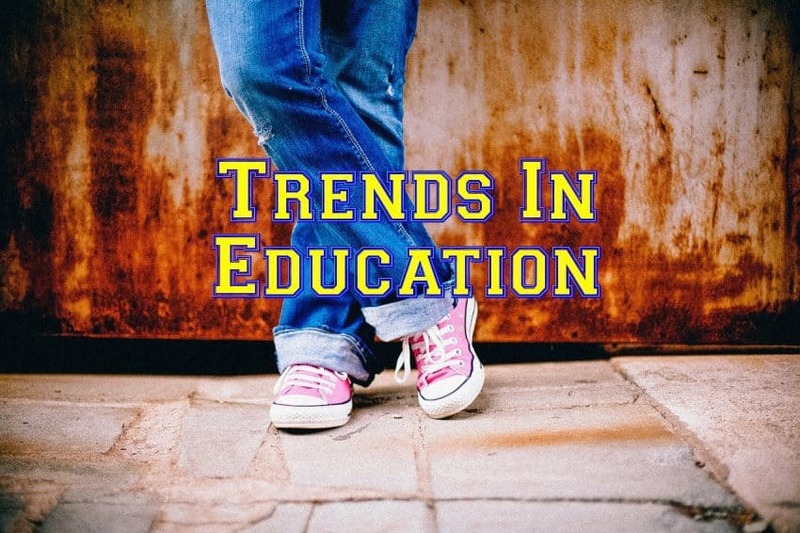 Thanks to these emerging trends in education, teachers are increasingly banking on online coursework and micro-credentials themselves to stay on top of rapidly evolving fields. According to a recent report by Blackboard, nearly forty percent of schools are now offering online professional development for their teachers, witnessing a two-fold increase in the figure available in 2013. So our knowledge of new trends in education translates into actively participating in the process of schooling of our child. In the business of education, we are all stakeholders. The idea is to ensure holistic educational experience, assess challenges in reading, writing, comprehension or mathematics and always be on the lookout for fun-filled learning. Offering a slew of educational and interactive apps and games, companies like Kahoot! and Socrative have already made assessments more fun, affordable and accessible. Big data is pushing boundaries in the business of education with more and more use of artificial intelligence to consolidate feedback as an additive factor to the understanding employed by the teacher or mentor. 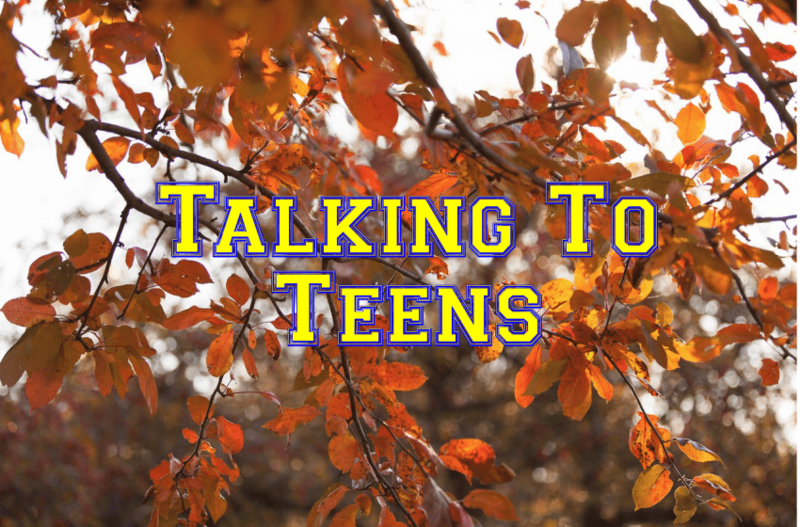 Communicating with teens is a tricky affair which requires a great deal of mutual understanding between teens and their parents. According to Debbie Pincus, a relationship coach and creator of the Calm Parent AM & PM™ program, teens and their parents are wired differently which makes communication a real challenge. Due to the giant difference in their respective thought processes, parents should demonstrate empathy while communicating with their teens. However, in reality, many parents tend to push their kids, forcing them into a “zone” where they either erupt or completely tune them out. Unless parents follow a compassionate approach to talk to their teenagers, the communication gap widens, giving rise to mutual distrust and loss of respect. Many of the so-called “helicopter parents” tend to push their kids into behaving in certain ways without even realizing the consequences of their actions. In all probability, such actions can be counter-productive. As parents, you should always remember to walk in your child’s shoes before expecting them to share your concerns. Once you speak to them as their friends would, they will open up and listen to your point of view. In fact, sometimes the best thing you can do is let them speak. Don’t feel you need to solve every problem they have. Sometimes being a sounding board is the all they want from you so you should go with that. Everything from your approach, your tone and your choice words can go a long way in setting up the foundation for successful discussions. 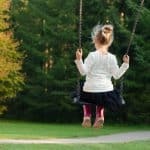 The Melbourne Child Psychology Services share a variety of research-driven techniques for parents to develop empathetic conversations with their male and female children. As a parent, it’s hard learning the ways to effectively connect with your teen. But, believe it or not, it’s even harder being a teen. According to a study by the National Institute of Mental Health, the human brain develops very rapidly during adolescence, which explains their sudden bouts of temper, sadness and frustration. The study also found that the surge in hormones affect both their body and their mind, making teens behave the way they do, leaving them emotionally vulnerable. A 2014 survey by the American Psychological Association also found nearly 30% of the 1018 teens surveyed were feeling sad, overwhelmed and/or depressed. When you try to speak to your teens, it’s critical to treat them as teens, and not as adults. Teens might respond inappropriately during your conversations. However, parents should learn how to take the emotion out of the whole exercise to avoid taking it personally. The more you understand your teens, the less you’re likely to make it about yourself. Unlike adults, teens don’t come equipped with the ability to make better choices right away. As parents, you need to help them develop the right perspective as they encounter challenges in life. This will help them make better decisions as they grow. You have been through a variety of conversations with your teens. The most difficult are when your kid is aggressive, impolite, and confrontational. It’s natural for many parents to respond to such situations aggressively. However, if you want to talk to your teens constructively, you need to learn the art of self-control and not giving in to your anger. ​When your teen says something that pushes your buttons, you may need to choose to step away rather than engage in a verbal duel with them. Remember, you can’t always control how your kids behave but you can certainly control your own behavior. According to WikiHow, here are a few of things to avoid while handling conflicts with teenagers. 1. Tell them it’s not worth fighting over: Use an empathetic voice to tell your kids you understand their perspective and there are better ways to handle the situation. 2. Don’t yell at them: When your kid has done something wrong, control your impulse to yell at them. Instead, talk to them calmly about the consequences of their action and how it can affect themselves and others. 3. Give them space: Often it’s better to allow the kids to calm down before you discuss a conflict or approach a resolution with them. Let the raw emotions die down and your kid become their normal self before you start talking. Most adolescent kids believe their parents are unable to understand them and it’s better to keep quiet or defend themselves. However, it doesn’t have to be this way. At times, a small action such as patiently listening to your parents can help you understand their view points. However, teens that are increasingly skeptical of their parents’ opinions tend to avoid making any efforts appreciate their parents perspective. Sometimes, you both are on the same page, but all you need is pay a little more attention to your parents’ points and see if that’s something you can accommodate without making a huge compromise in your own point of view..
For example, if you want to stay over at your friend’s on the weekend, they are likely only worried about your safety. Instead of completely disregarding their POV, try to understand their concerns and help them become assured of your safety (i.e regular text check-ins). Once you have developed the habit of listening to your parents, you are way ahead of most teens in terms of establishing rock-solid communication with them. However, it’s not done yet. If you understand what triggers their concerns about your choices, let them know you have thoroughly thought them through. Referring to the previous example, reassure your parents about your safety and whereabouts so they can reach out to you in case of an emergency. Such little (yet meaningful) actions can infuse mutual respect in your relationship with your folks and create a strong foundation for your interactions with them in the future. While parents are not supposed to unfairly push their point of view on their teens, you should respect them for their opinions. For a healthy and positive relationship, you need to attempt listen to your parents without judging them. There’s no incentive for disrespecting parents that work hard to ensure your well being. You want to show them the respect you would want from them in return. Ridiculing their points of view won’t serve any purpose and ruin any chance of healthy interactions. While working on resolving a conflict with your parents, always use the “I” statements and try to avoid the “you” statements. For example, instead of saying, “you have no idea about the challenges I’m facing…”, try to say, “I’m not sure if you’re aware of the challenges I’m facing”. When you use the “you” statements, you’re putting the blame directly on your parents for any lack of understanding. With “I” statements, you can easily articulate your thoughts in a respectful manner, allowing a faster resolution of the conflict at hand. While the tips above are a good starting point for both parents and teens, real-life situations can greatly vary, which requires parents to exercise their best judgment. However, no matter what, both parents and teens should restrain their emotions while resolving a conflict, without letting their ego derail the process. ​With active listening and constructive interactions, parents can pave the way for their teens to make choices without jeopardizing everyone’s collective interests.